Filters for mounting in-line. Flow rates up to 230 l/min. Working pressure 280 bar. 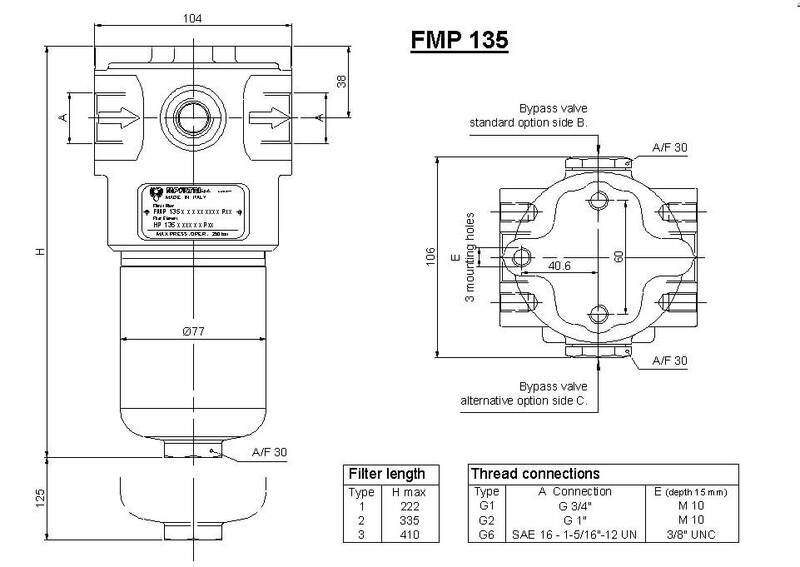 FMP series filters are designed for high pressure applications, and are installed In-line. Specifically designed for Industrial and mobile applications, agricultural machinery, power units, Die casting and injection moulding equipment. Indicator and Bypass valve positions can be interchanged. 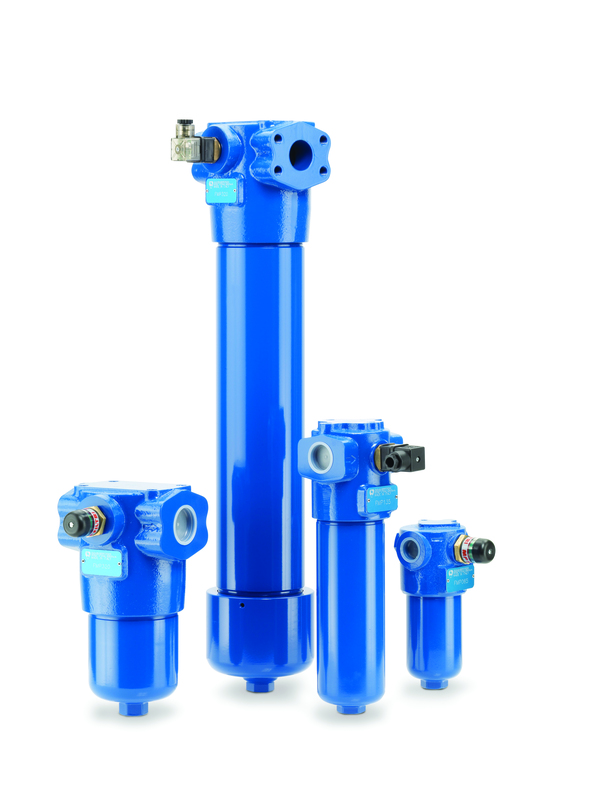 FMP series filters are constructed of chemical heat treated cast iron making them suitable for Mining and corrosive environments. 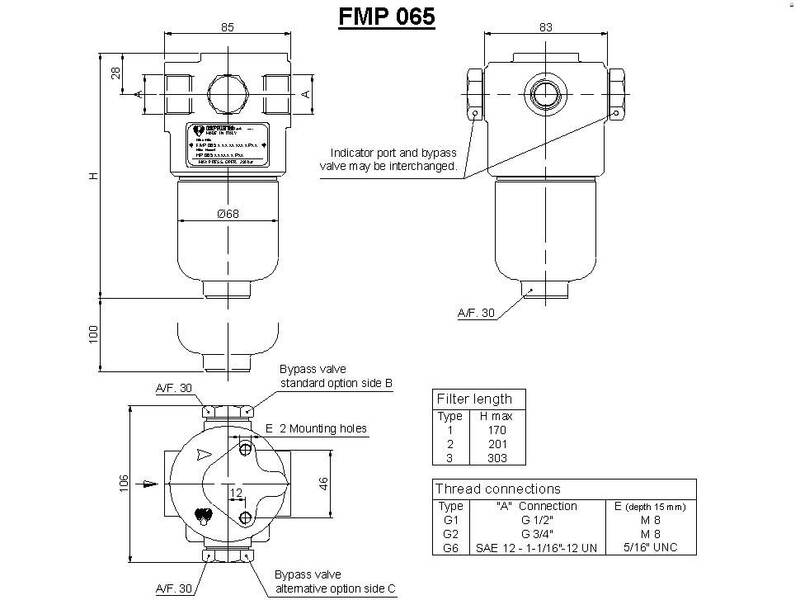 The FMP series filter utilizes the MP filtri range of differential indicators, available as Visual, Electrical or Visual/Electrical. Suitable for Industrial applications’ Die casting and plastic injection machinery. string(84) "Filters for mounting in-line. Flow rates up to 230 l/min. Working pressure 280 bar."